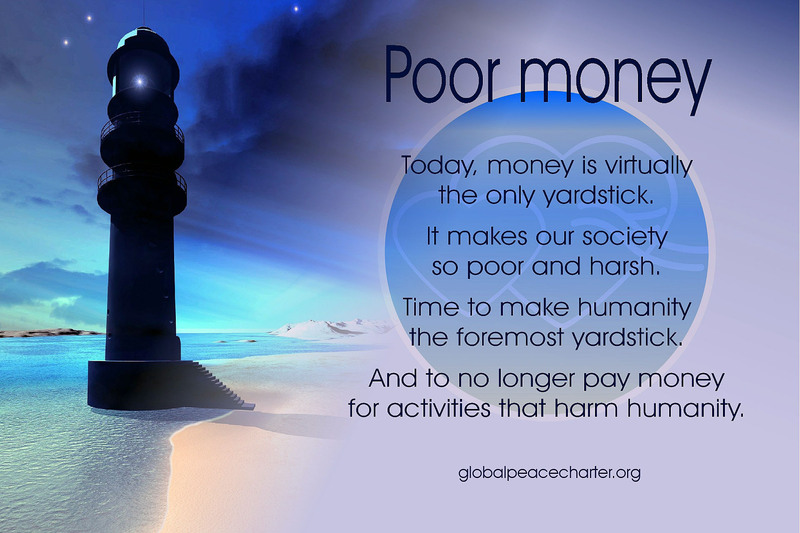 Today, money is virtually the only yardstick. It makes our society so poor and harsh. Time to make humanity the foremost yardstick. And to no longer pay money for activities that harm humanity.